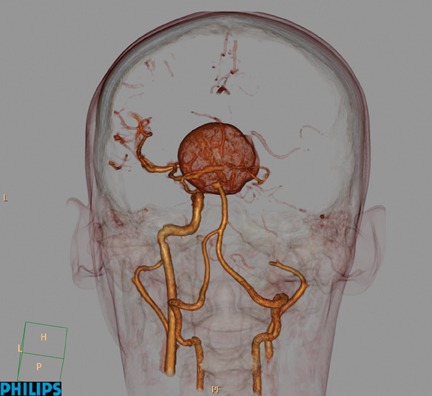 This year, the medical community has witnessed significant strides in computed tomography (CT) imaging through the adoption of ground-breaking iterative reconstruction (IR) techniques. Physicians are now able to improve image quality and diagnostic confidence at low dose levels. 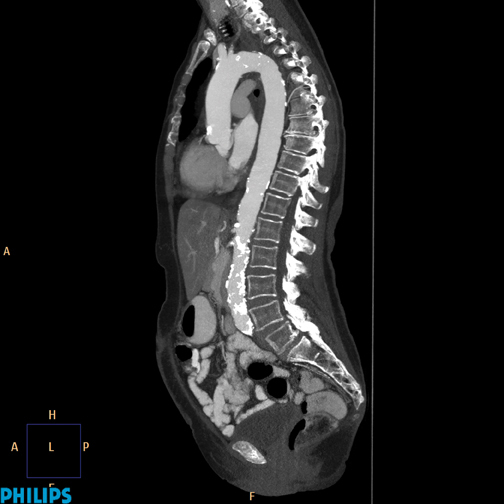 Adoption of these techniques, particularly iDose4 from Philips Healthcare, has allowed clinicians to push the clinical capabilities of their scanners in order to enter a new era in CT imaging where outstanding image quality can be achieved with images scanned at low doses. In the second part of an Applied Radiology low-dose supplement series, the publishers at Applied Radiology invited leading radiologists and nuclear medicine physicians to a roundtable discussion to share their clinical experiences implementing new IR technology on the latest generation of CT systems. These doctors have been working with the Philips iDose4, an IR technique that gives them control of the dial so they can personalize image quality based on their patients’ needs at low dose. When used in combination with the advanced technologies of the iCT, Ingenuity, and Brilliance scanner families, this provides a unique approach to managing important factors in patient care—a new era in low-energy, low-dose and low-injected contrast imaging (Figure 1). But the inequality between dose management and image quality is balancing out. Recently, a different approach to standard image reconstruction was explored through the clinical implementation of IR techniques. IR techniques treat noise at very low signal levels, and consequently reduce the noise and artifacts present in the resulting reconstructed image. The noise can also be controlled for high spatial resolution reconstructions; thus providing low noise, high spatial resolution, and low-contrast resolution within the same image. This results in an overall image quality improvement at low dose. While IR techniques have been used for many years in PET and SPECT imaging, only recently have innovations in computational hardware design and algorithm optimizations permitted the clinical use of an IR technique in CT. In fact, applying an IR technique in combination with the iCT system can improve spatial resolution by up to 50% and by up to 57% with the Ingenuity CT (Figure 2). Today, a number of IR techniques are available, each with its own design. Among the various designs, the resultant image quality and reconstruction time may vary considerably. 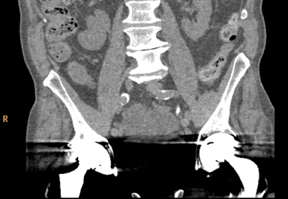 Although a hospital may have an IR technique available on its CT system, if its reconstruction times are lengthy, practitioners may avoid using the technique. “Everybody wants to see the images immediately,” noted Johnsey Leef, MD, Chief of Radiology, Charleston Area Medical Center (CAMC), Charleston, WV. In addition—because every patient is unique individual protocols should be “right-sized” and adjusted according to a patient’s age, height, weight, body mass index (BMI), and clinical indication. By taking a more holistic approach with iDose4, reconstruction is achieved in seconds rather than minutes (Fig-ure 3). “By lowering our mA across the board in pediatric patients, we really improved our pediatric doses substantially,” said Dr. Bardo. Pediatric imaging benefits from faster acquisition times—such as those provided by the Brilliance iCT—as pediatric patients have a tendency to move and require sedation. “In some cases, exam speed may eliminate the need for sedation or for anesthesia, which is highly prevalent in the pediatric population, particularly with children under the age of 6,” indicated Richard Towbin, MD, Radiologist-in-Chief, Division Chief, Neuroradiology, Radiology, Phoenix Children’s Medical Group, Phoenix, AZ. Speed also supports other indications, particularly in patients with rapid heart rates. 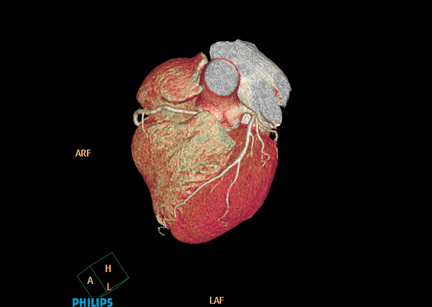 “The indications for cardiac CT are different in children and adults. Since the neonates have very fast heart rates, it’s a challenge to do certain types of studies unless the scanner is very fast. 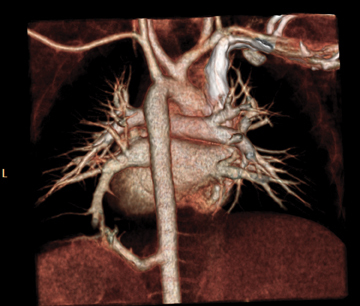 Our challenge is to go fast enough to get accurate anatomy to see abnormal connections between chambers and the abnormal development of structures that comes along with the congenital heart disease population (Figure 4),” explained Dr. Towbin. He added that faster acquisition times has the potential reduce the number of repeat images exams. There are many strategies for modifying CT protocols to reduce overall effective dose. Automated exposure control, dynamic collimation, and prospectively-gated cardiac imaging are technologies that facilitate dose management; however, other techniques, such as decreasing the number of scanning phases, increasing the section thickness, reducing the peak tube voltage (kVp), reducing the tube current–time product (mAs), and increasing the pitch, also help manage dose. 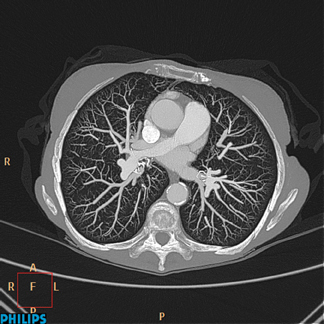 Dr. White described how he is also managing dose levels in pulmonary embolism (PE) exams. “Low dose really comes into play with pulmonary embolism studies. If you can get away with a 100 kVp instead of the 120 kVp or even the 140 kVp, that is going to really raise your attenuation,” he said. 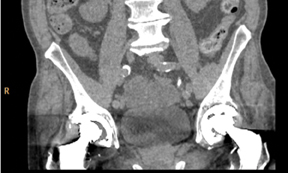 At UVM College of Medicine, radiologists have been applying a variety of dose management techniques, including lower energy (kVp), longitudinal (Z-DOM) and rotational (D-DOM) tube-current modulation, and automatic current selection to adapt to patient sizes. Dr. Smuclovisky has taken a similar approach in cardiac imaging. “We’ve been able to take the large patients from 140 kVp to 120 kVp (Figure 5), the average size patients from 120 kV to 100 kV and with a mAs in the range of <200 to 300 (Figure 6). And we’re getting excellent diagnostic quality images. For cardiac CT, we’ve reduced the radiation dose from an average of 3.5 mSv to 2.5 mSv and less,” he said. Although the medical imaging community has long supported imaging with radiation doses as low as reasonably achievable (ALARA), the government has recently begun to play an increasing role in the practice of medical imaging, particularly as it relates to the use of CT. The state of California enacted a law (SB 1237) last October requiring radiologists to record the radiation dose that each patient receives for a CT scan, effective July 1, 2012. In addition, as of January 1, 2013, the bill mandates accreditation by one of 3 professional groups for scanners at every facility that performs CT. Ultimately, managing dose continues to be the responsibility of those administering medical imaging procedures—the doctors and technologists. While the ACR has launched other dose reduction initiatives, such as mandatory accreditation of all medical imaging providers and the adoption of computerized decision support/imaging ordering systems based on ACR Appropriateness Criteria®, the DIR represents a landmark move that enables imaging facilities to track, compare, and manage radiation dose from CT scans. The pediatric radiology community has been a natural leader in the campaign to reduce dose exposure, which may pose a greater health risk to the pediatric population than to adult patients. One of the most successful programs spearheaded by pediatric radiologists is the Image Gently campaign, an initiative to promote the use of appropriate dose reduction techniques by raising awareness in the medical imaging community about the opportunities to reduce radiation in the imaging of children. The Image Gently campaign, which is conducted by the Alliance for Radiation Safety in Pediatric Imaging, and founded by the Society for Pediatric Radiology, the ACR, the American Society of Radiologic Technologists, and the American Association of Physicists in Medicine, now encompasses 44 medical organizations serving more than 500,000 health care providers world-wide. A more recent endeavor in pediatrics is the establishment of the first pediatric Quality Improvement Registry in CT Scans in Children, marking another milestone in monitoring and reducing dose. The concept of the registry is to form a coalition of 6 children’s hospitals that will develop a consensus for “best practices” of optimal CT scan techniques and design a dose index based on patient size for children undergoing CT scans for common medical indications. To strengthen the drive to provide safe, appropriate, and effective medical imaging, physicians have gone a step further, reaching out to manufacturers to help in implementing dose-management strategies nationwide. Manufacturers have responded by setting equipment safety standards, developing protocols, performing quality and safety checks, providing education programs and physician-developed medical guidelines. In February of 2010, the Medical Imaging & Technology Alliance (MITA), introduced a radiation dose check feature that provides an alert to CT machine operators when a facility’s pre-determined dose threshold is exceeded. The Alliance for Radiation Safety in Pediatric Imaging applauded MITA’s initiative. “The safeguards proposed by MITA represent a major step forward in managing radiation dose during CT scans performed on children, who are much more sensitive to radiation than adults,” said Marilyn Goske, MD, Chair of the Alliance and Professor of Radiology at Cincinnati Children’s Hospital Medical Center in Cincinnati, Ohio. 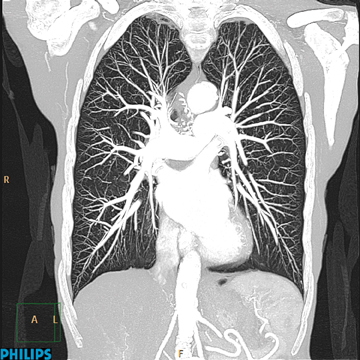 Nevertheless, dose management presents a unique challenge in CT imaging. As dose is lowered, image quality suffers. When image quality suffers, so does confidence in diagnosis. Solutions to this dilemma are of vital importance to manufacturers. Perhaps the two most significant contributions from manufacturers thus far have been 1) the development of IR techniques, which reduce the loss of image quality when imaging at very low doses, and 2) the introduction of CT systems with fast image acquisition times. Dr. Smuclovisky sees radiologists as the champions of the cause to lower dose, and encourages them to ally with industry to create awareness and make a difference. One such initiative is SMILE—Smart Medical Imaging Less Exposure—a community health educational program introduced by Philips Healthcare designed to help clinicians inform their patients and community about the importance of medical imaging and the risks of radiation dose. SMILE provides physicians with a variety of tools to help them generate awareness for imaging services and communicate a hospital’s commitment to radiation dose management. Dr. Towbin supports programs like SMILE. “The goal of the SMILE Campaign is to increase awareness about dose across the board. It’s critical for patients to feel safe,” said Dr. Towbin, who stressed the importance of explaining to patients that CT is an extremely useful tool and should always be used with patient safety in mind. “It’s important for major imaging vendors to take leadership and ownership to decrease dose. What is first and foremost are patients,” he said. It’s clear the driving message of the imaging community—imaging ALARA—has been embraced by practitioners and vendors alike.Now with effective tools at the radiologists’ disposal, such as low-dose CT, the low-dose campaign has turned a corner, entering a new era in CT imaging where quality imaging and patient care go hand in hand. Workflow is also gaining huge efficiencies through new advances in image data management systems that provide clinical functionality, workflow, and collaboration tools. One such workflow platform is IntelliSpace Portal by Philips Healthcare. “IntelliSpace Portal is automated to the point where a brain perfusion study now requires almost no input other than to turn on the product (Figure 7),” said Dr. Ebert. This integrated clinical solution is a multispecialty, multimodality, and multivendor platform with robust clinical applications in CT, MR and PET/CT. It supports communication between radiologists and other types of clinicians, who can access and exchange data from any location connected to the enterprise through a single applications server integrated with PACS. This is critical when triaging patients in the emergency department, says Chip Truwit, MD, Professor and Chief of Radiology, Hennepin County Medical Center and Hennepin Faculty Associates Minneapolis, MN. By streamlining data exchange across hospitals, patients are less likely to undergo repeat imaging exams, which “makes a difference on the dose, and also makes a tremendous difference on patient care,” noted Dr. Truwit. Tamm EP, Rong XJ, Cody DD, et al. Quality initiatives: CT radiation dose reduction: How to implement change without sacrificing diagnostic quality. Radiographics. 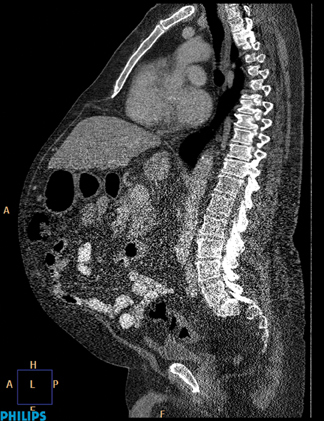 http://radiographics.rsna.org/content/early/2011/09/30/rg.317115027.short?rss=1. Updated October 3, 2011. Accessed October 14, 2011. National Radiology Data Registry (NRDR). American College of Radiology. http://www.acr.org/SecondaryMainMenuCategories/quality_safety/NRDR.aspx Updated September 29, 2011. Accessed October 14, 2011. Nation’s CT Manufacturers Unveil New Industry-Wide Medical Radiation Patient Safety Features. MITA. http://www.medicalimaging.org/2010/02/nation%E2%80%99s-ct-manufacturers-unveil-new-industry-wide-medical-radiation-patient-safety-features/. Updated February 25, 2010. Accessed October 14, 2011. “Image Gently™” Alliance to Educate Providers to “Child-Size” Radiation Dose for Pediatric Imaging Care. American College of Radiology. http://www.acr.org/MainMenuCategories/ media_room/FeaturedCategories/PressReleases/Archive/ImageGentlyCampaignKicksOff.aspx. Accessed October 14, 2011. Advances In Image Quality at Low Energy and Low Dose. Appl Radiol.